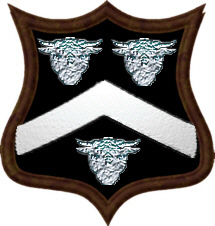 Coat of Arms: Three bulls heads and a silver chevron. Motto: Nec temere nec timide. Motto Translated: Neither rashly nor timidly. Spelling variations of this family name include: Buckley, Bucklie, Buckly, Bulkely, Bulkley, Bulkelly, Boukley, Bulkaly, Bulkly, Bulklay and many more. First found in Cheshire where they held a family seat from very ancient times. Some of the first settlers of this family name or some of its variants were: Daniel Buckley settled in New England in 1635; Humphrey Buckley settled in Virginia in 1635; Luce Buckley settled in the Barbados in 1660; John Buckley settled in Pennsylvania in 1682. The name buckley is of Anglo-Saxon origin and came from when the family lived in any of the places named Buckley, or Buckleigh, in England. buckley is a local surname, which belongs to the category of hereditary surnames. There are a variety of types of local surnames, some of which include: topographic surnames, which could be given to a person who lived beside any physical feature, such as a hill, stream, church or type of tree. Habitation names form the other broad category of surnames that were derived from place-names. They were derived from pre-existing names for towns, villages, parishes, or farmsteads. Other local names are derived from the names of houses, manors, estates, regions, and entire counties. In this case, the surname buckley derived from the Old English words bucc(a) and leah, which mean male goat and wood. The surname, in this sense, would have been an occupational surname for someone who raised or tended goats. The more common derivation, however, comes from the places called Buckley and Buckleigh. 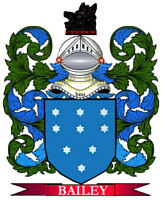 Members of the buckley family were first recorded as living in Cheshire.